A CCTV camera is not only for municipalities or police services, it can also be used by individuals in a variety of settings. First, a CCTV camera is an added advantage for all alarm systems. An alarm alone is not necessarily enough deterrent and burglars have unfortunately more than one trick in their bag to disable it. A camera, certainly, can also be diverted, but it is more complex. 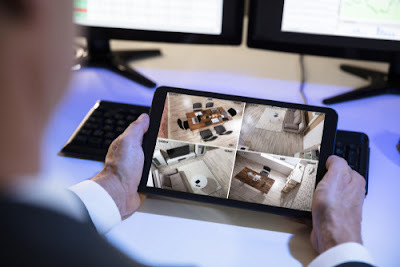 In addition, the camera can also be equipped with a presence detector and / or connected to a monitoring center for increased efficiency. The mere fact of seeing a camera in activity often discourages potential thieves from approaching. 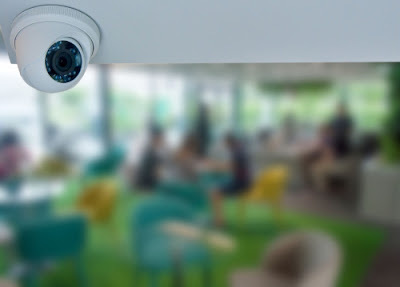 Whether for a private home, a business or a shop, the CCTV camera can protect the premises and goods in an optimal way, even if zero risk does not exist. However, it is not necessary to associate only a CCTV camera with the delinquency and the attacks on the property. A camera can also be a great help in caring for loved ones. 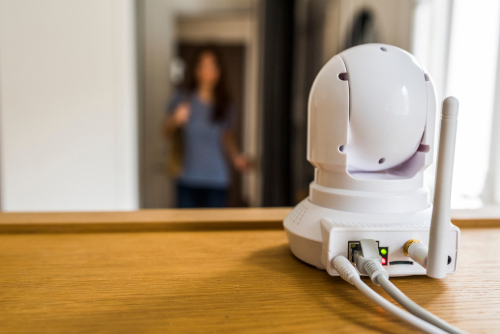 Installing a CCTV camera in a person's room is a great way to be alerted as soon as important symptoms appear. This device will allow to intervene in time. The camera can even be directly connected to a doctor's office. Elderly people who develop conditions requiring constant surveillance, such as Alzheimer's disease, can also benefit from the presence of a CCTV camera to keep an eye on them around the clock and replace a sick guard. The different members of the family can take turns to check that everything is fine or go about their occupation, even if they are in the same house. Children, who also require constant vigilance can be monitored with a camera while the parents are in another room. Well installed on the door of your second home, it is obvious that the thief will not try to enter your home. However, if the intruder decides to enter your home, no camera of course will start. It's just a deterrent, but studies show that sometimes that's enough. What is private video surveillance? It is for an individual, to install at his home small cameras connected by wired or Wifi to the internet, so as to be informed by mail of an intrusion. But also to visualize the situation of his good on a smartphone. This makes it possible to warn the police for an immediate intervention and especially to have the possibility of identifying the criminals. You should know that a burglary does not last more than 20 minutes, hence the importance of saving time that allows instantaneous transmission over the internet. What does the law says ? Schematically, as long as the cameras are filming a private indoor or outdoor space, no authorization is necessary. On the other hand the police / gendarmerie security forces, recommend the installation of CCTV cameras to be able to intervene immediately before it is too late. There is a plethora of CCTV cameras on the internet. A simple tour on the web will show the extent of the offer. But some important elements are to know for the choice and the installation. • There are wired CCTV cameras (Ethernet cable to Box) and wifi CCTV camera . The latter are more easily piratables although more affluent facilities. • Outdoor cameras must be designed and constructed for outdoor use (all times) unless they need to be replaced very quickly. • The field of outdoor cameras should cover all possible accesses (garage door, cellar basement, access to the roof velux, etc.). • It is the same for the internal cameras which must visualize all the forced passages. • The cameras must also be equipped with night vision, and have a definition sufficient for possible identification by the police of the perpetrators. • Finally, and paradoxically, this is the weak point, you have to scrupulously set up the system and change the passwords and access code on the Internet very regularly. Last but not least, possible registrations have the right to be kept for a maximum of one month. In addition to the protection of the home, an IP CCTV camera may, subject to its agreement, ensure the safety of an elderly person. It is the same for his pet, but this time without his agreement. Businesses are often the first target of thieves. Some are equipped with alarm because they have no choice, often for the sake of the goods they sell as a jewelry for example. For all others, the CCTV sticker can be a great help. Well placed on the window, it will be really dissuasive and this for a few euros. We look at a window and this sticker will do its job. The shopkeeper or the craftsman will not always have the means to afford the video surveillance but the sticker remains within the reach of all. The pictogram is recognizable and today everyone knows what it means. The deterrent is undeniable, the thief will pass his way and will not try to force your door because he will not know that you do not really have the monitoring system. Today the flights are so numerous that this sticker is now displayed on virtually all windows. A CCTV sticker can be useful and this for a few euros. Combined with a purchase of a fake CCTV camera, this becomes a significant deterrent protection system. If you do not want at the moment to start installing a real system, trust this sticker that is often enough.